A spectacular mix of imported flowers in a Levene designer vase. 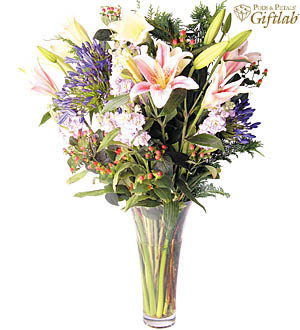 Agapanthus, Stargazers, Carnations and Madonna Lilies. Measures approx. 90cm.